U.S. Secretary of State John Kerry faced sharp questions on Capitol Hill this week on international child abductions to India, with lawmakers asking him whether he had brought up the subject with Prime Minister Narendra Modi during his recent visit to New Delhi. “Did you raise child abduction with an emphasis on specific cases, like Bindu Philips, when you met with [Mr.] Modi in early January? What was Mr. Modi’s response,” Republican Congressman Chris Smith of New Jersey asked, referring to a long-running abduction case here involving an Indian-American family. An account of the hearing on Capitol Hill on Wednesday noted that Mr. Kerry replied that as a matter of course, he regularly raised cases of “missing Americans,” although he reportedly did not directly comment on the Philips case. 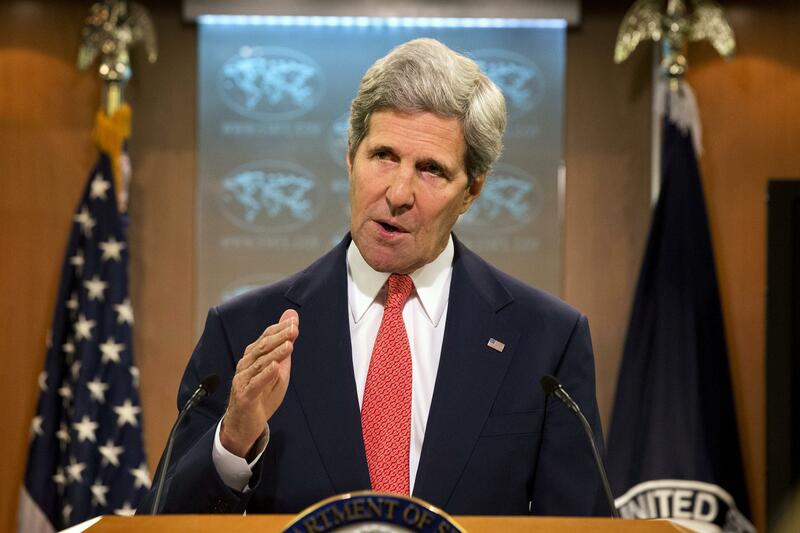 However, Mr. Kerry said: “We have a caseload of about a thousand international parental abduction cases, and we are trying to expand the Hague abduction convention to efforts throughout the world.” “We have approximately 75 professionals who are full-time, assisting parents with respect to this horrendous plight that they face,” he added. International child abductions re-entered the spotlight a few months ago when President Barack Obama signed the Sean and David Goldman International Child Abduction Prevention and Return Act. The law authorises the State Department to take a series of calibrated measures against India or any other country that does not facilitate the prompt return of an American child held there. The focus of this debate on India was spurred on by cases such as that of Ms. Philips, who has won custody of her twin sons in U.S. courts, though the Indian justice system has not seen fit to send them back to the U.S. from the custody of her father, Sunil Jacob, who allegedly took them to India in 2008 during a bitter divorce. In July last, another major case involving India was in the spotlight, when U.S. authorities arrested Padmashini Devi Drees as soon as she landed in the country after allegedly fleeing the U.S. in 2006 with her son, Drew Drees, after divorcing his father Dean Drees. A few years ago, Congressman Smith had described India as “a source of immense frustration and grief for American parents” and said “Although Indian courts make Hague-like decisions to return some children, returns are at best uneven,” and parents attempting to utilise India’s courts for the return of abducted children reported corruption and incessant delays. The State Department’s website highlights the fact that India is not party to the 1983 Hague Convention on the Civil Aspects of International Child Abduction and also not a U.S. Treaty Partner under the convention.